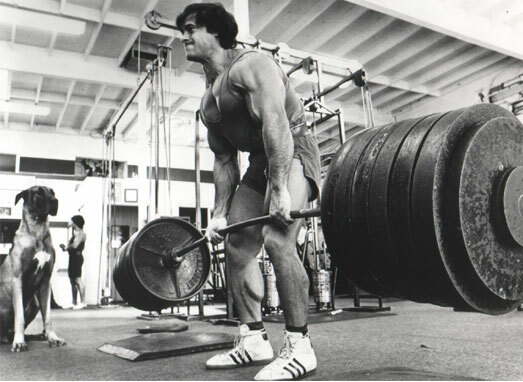 The deadlift is a unique lift compared to every single other lift in the weight room. It’s unique in that you lift the weight off the ground from a dead stop, without any eccentric component. There’s no way to get a “feel” of the weight you are lifting before you actually lift it, and this is why the deadlift is so ridiculously hard and is not very often performed in the weight room. Tension is the key to deadlifting big weights. Pavel has written a great amount about the importance of tension in his book “Power to the People”. He also mentions that when deadlifting legend Lamar Gant used to get down to the bar, he would go down so slowly it looked like he was squatting a maximal weight. This is accumulating tension - a big reason why Gant was such an accomplished deadlifter. So how do we use tension? Perhaps you have heard the anecdote about the two suitcases. If I tell you one suitcase weighs 200lbs, but in reality it only weighs 10lbs, the suitcase would fly when you tried to lift it. Conversely, if I told you a suitcase weighed 10lbs but in reality weighed 200lbs, you would probably hurt yourself when trying to lift it because you would not be tensing the body and protecting the spine. My take on this is a bit different. Imagine that I gave you a suitcase to lift, but all I told you was that it’s extremely heavy, probably the heaviest thing you’ve ever lifted. You do not know the exact weight. How would you lift it? Would you take a chance that the suitcase is light and yank it off the floor? Or would you accumulate as much tension as you can before gingerly squeezing it off the floor? Obviously, the latter. Once you’ve got an idea of what the weight is, you would accelerate the suitcase to a standing position. Go ahead, pretend you're lifting something up off the floor and it's the heaviest thing in the world. Really focus on how much you tense your body before the act of lifting the imaginary object. That's the amount of tension you need to accumulate before the lift. The more tension you can accumulate, the more force your body will produce. 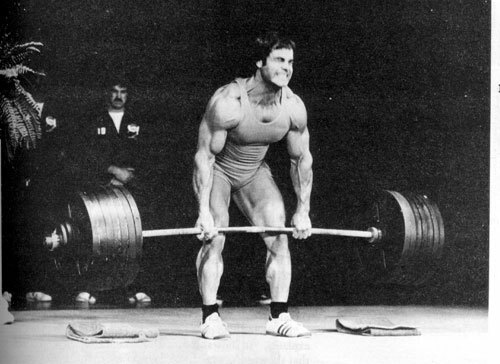 This is the key to building that big deadlift. Too many people yank the bar off the floor in the hopes that if they create acceleration at the bottom, it will carry over to the top. Think about throwing a medicine ball straight up from a full squatting position. You would gradually accelerate from the bottom to the top and peak at the jumping position to throw the ball up. You wouldn’t put as much acceleration as you could into the bottom position. This applies to deadlifting as well. You squeeze the bar off the floor, and then gradually accelerate to a strong lockout. What does the author deadlift?